Henrik Hololei, Director-General for Mobility and Transport, DG MOVE, European Commission will also address Forum participants in the opening session. In addition – Latvian and Lithuanian Transport Ministers and ministry representatives of Estonia, Poland and Finland will discuss Rail Baltica potential for passengers, freight and regional development. During the day, a working session on the future of European flagship infrastructure project financing will be held, as well as a panel discussion on railway infrastructure management. The day will be closed with a working session regarding Rail Baltica developments in Poland and Finland. The second day of the Forum will focus on the detailed Rail Baltica global and national plans for 2019, developing business partnerships with the railway industry in Europe and operational plan. The draft Architectural and Visual Landscaping Guidelines of Rail Baltica will be also discussed with the stakeholders. Representatives from 30 countries, including 302 companies as well as 105 public authorities and non-governmental organizations will take part in the forum. On the second day of the Forum, visitors will also have access to Suppliers’ Meeting Point, where they will be able to meet 40 companies, get acquainted with their offers and discuss possible cooperation. 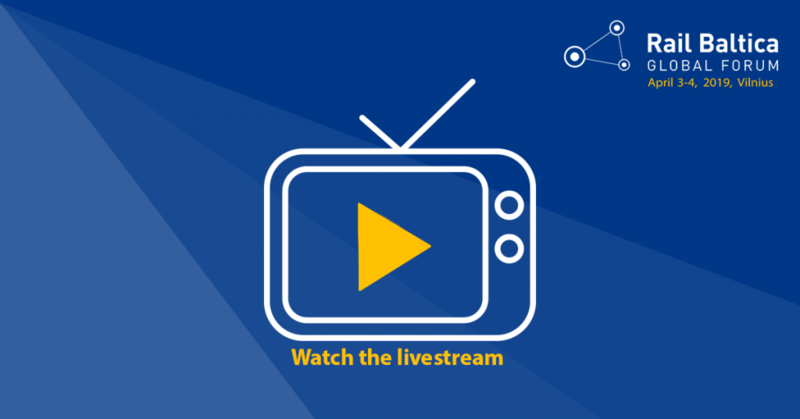 The live stream of Rail Baltica Global Forum 2019 will be available during both days of the event on the Rail Baltica webpage, and there will be a possibility to ask questions via Sli.do platform (event code – RBGF2019).